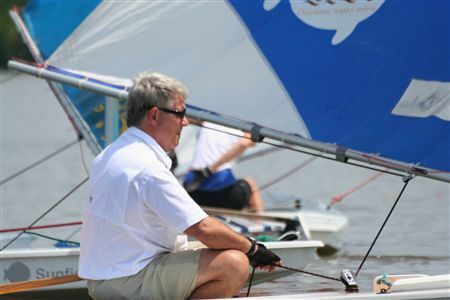 CRYC has fleet racing most Sundays from May until late October, with a frostbite series for Lasers in November. If you already know how to sail, you can join as a Community Sailing Member and sail any of the club owned Community Sailing boats for which you qualify. . Qualifying is as simple as launching, rigging, sailing upwind and returning safely to the dock. The Membership fee is all you pay. You can make as many reservations on line as you like and there is no additional fee. That's right: flat fee, unlimited boat usage during community sailing hours, weather permitting. It's a great deal. Community sailors may reserve lasers, sunfish, and now, a GP-14 for club racing. CRYC has many very experienced and many novice sailors blended together all enjoying the sport of sailing. The experienced sailors have all learned by making mistakes and having positive experiences as well. We all realize there is more then one way to accomplish the same task, and sharing our ideas on how to accomplish something can be very helpful. 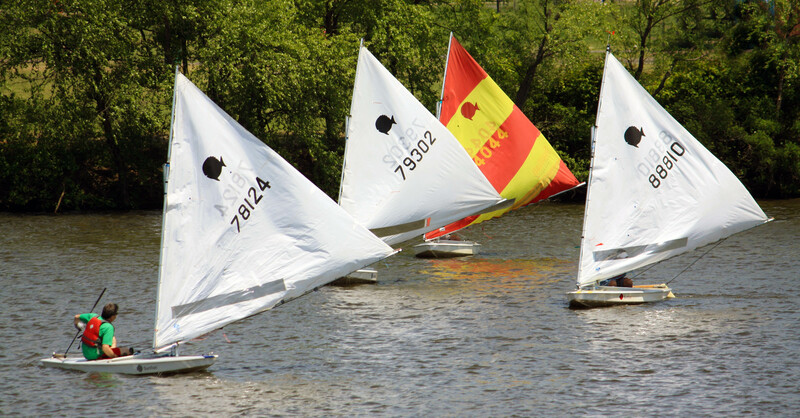 Nestled on the south side of the Cooper River in Cooper River Park, we enjoy an ideal sailing setting and a view of the Philadelphia skyline. The river is not tidal due to a dam downriver which reduces the complexity of your sailing experience. CRYC has six sit in kayaks (blue), six sit on kayaks (yellow), and six canoes (red or green) that members can use. They are available to only adult members of the yacht club on a first come first serve bases when there is not a paddling class. Life jackets should be worn at all times while preparing or using the kayaks or canoes. If you planned to sail and there is not enough wind, try a paddling a kayak. You will need to follow the club Kayak and Canoe guidelines. CRYC is a member of Yacht Clubs of America and has reciprocal agreement with many US Sailing Yacht Clubs. You can show your CRYC Membership card and/or a resiprocity card from Yacht Clubs of America at many Yacht clubs across the country and become a welcome guest at that club. Most will allow you to use their facilities if you ask politely. You can verify their participation at the link below. CRYC Members can get our Member's login Information on the Members Only Items section of CRYCJ website. For a very reasonable fee of $100.00 any Member can reserve the Club and hold an event. We have had small informal weddings, Birthdays, Anniversaries, Mothers' Day Parties and many other events. You must contact the Commodore to pick the date, sign the rental agreement and pay the fee. Club Members can not be excluded from the club, but normally stay away from party guests when possible. Thursday evenings during the summer have turned out to be a lot of fun and very active at CRYC. Besides the sailing classes going on, we have horseshoes, informal sailboat racing, community sailing, Free hot dogs, beer and fun for all! The only reason this comes to an end is we lose daylight at the end of the summer. With all the above benefits, if you compare the cost of our membership to any other Yacht Club, you will realize how cost effective we are.